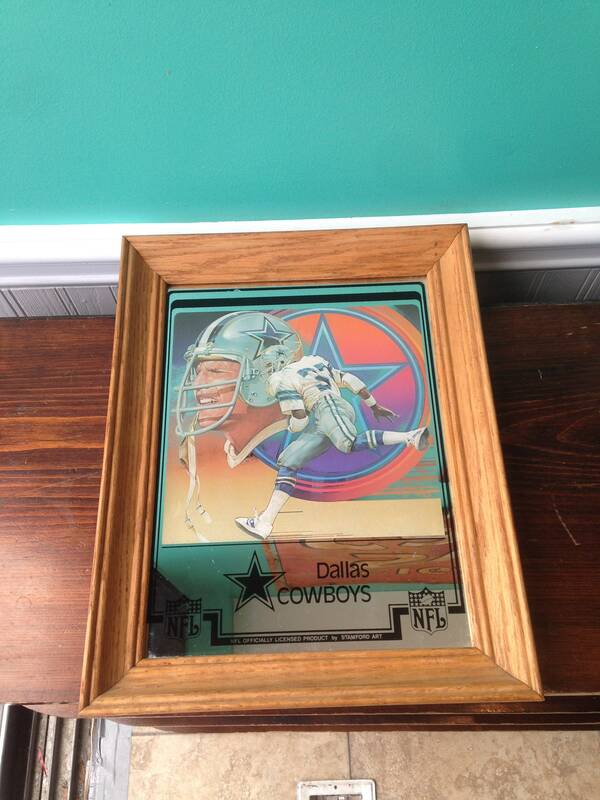 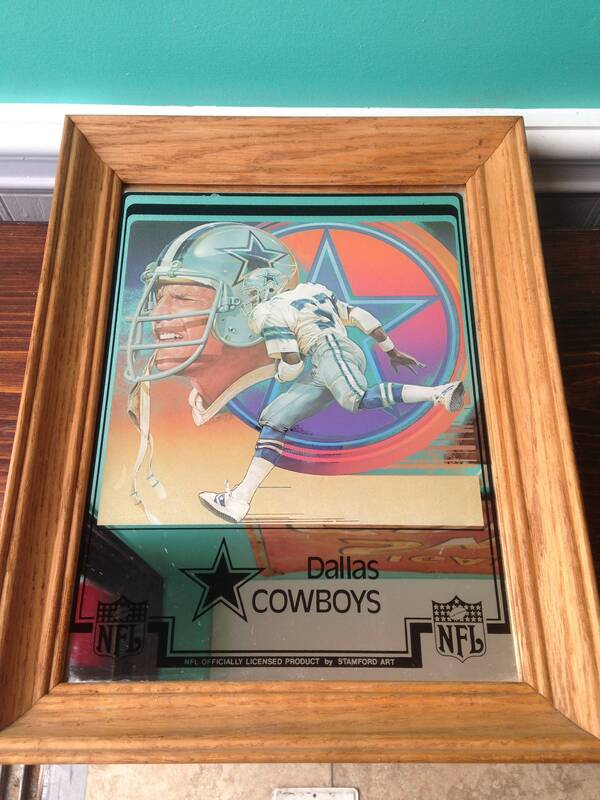 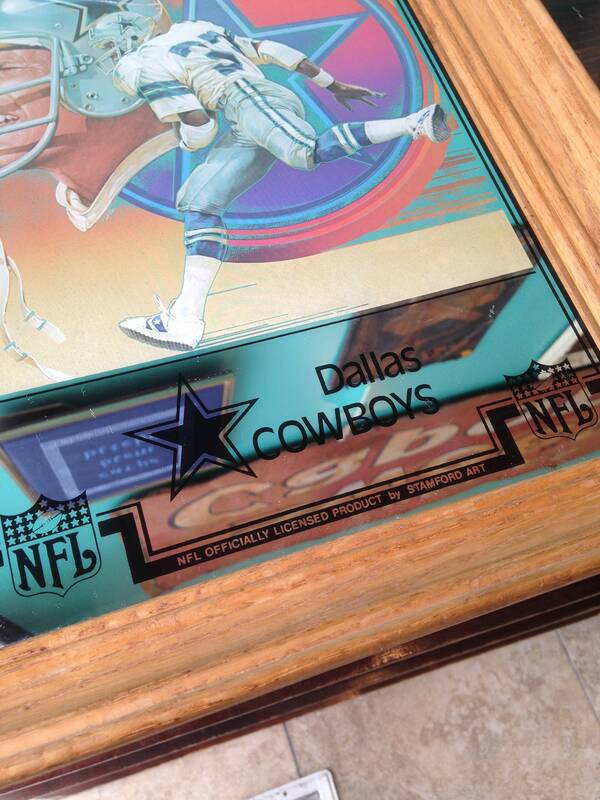 This great sports memorabilia framed mirror is made by Stamford Art. 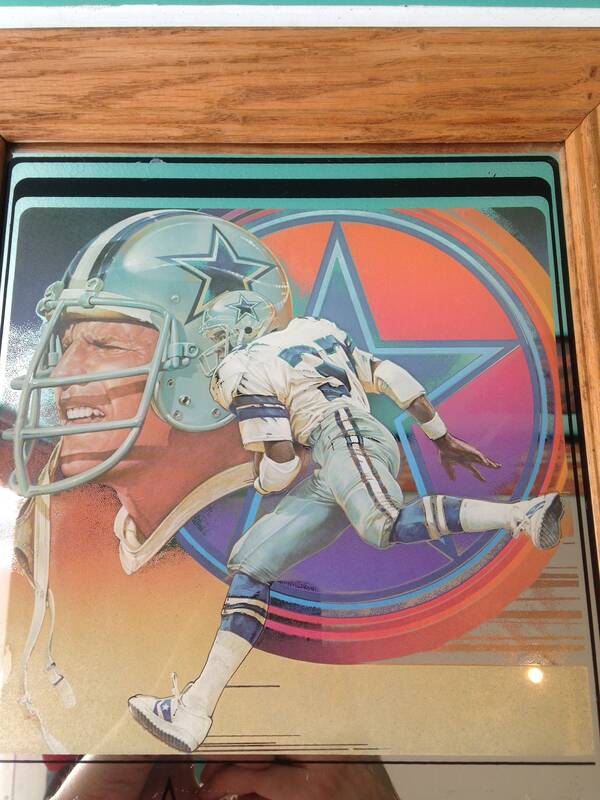 It features Tony Dorsett and Roger Staubach of the Dallas Cowboys, both hall of famers respectively. 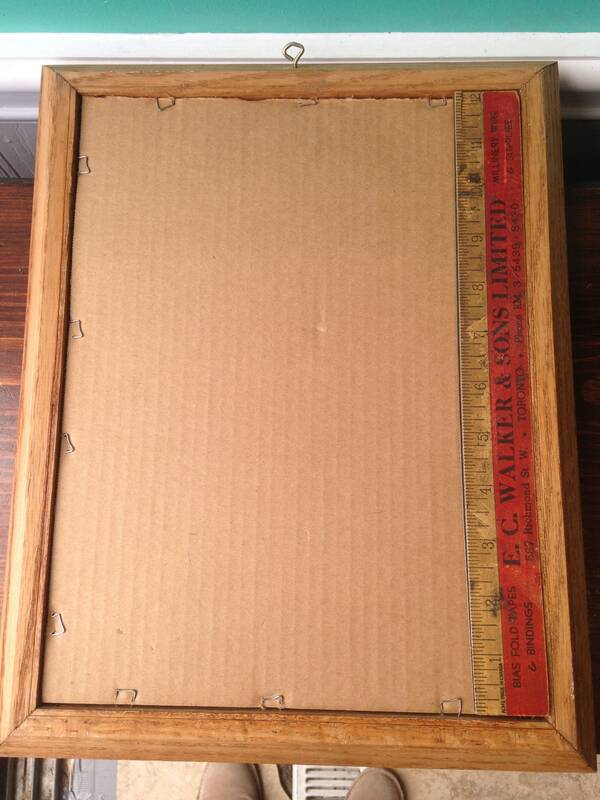 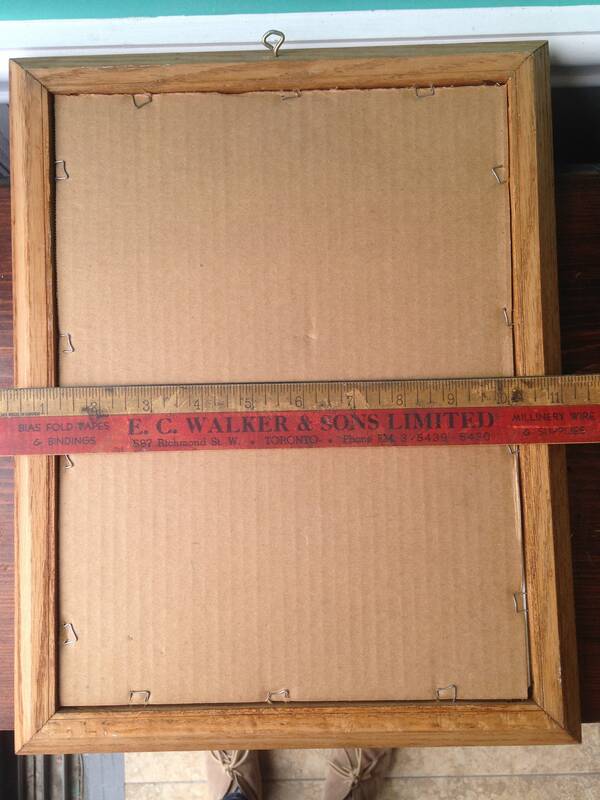 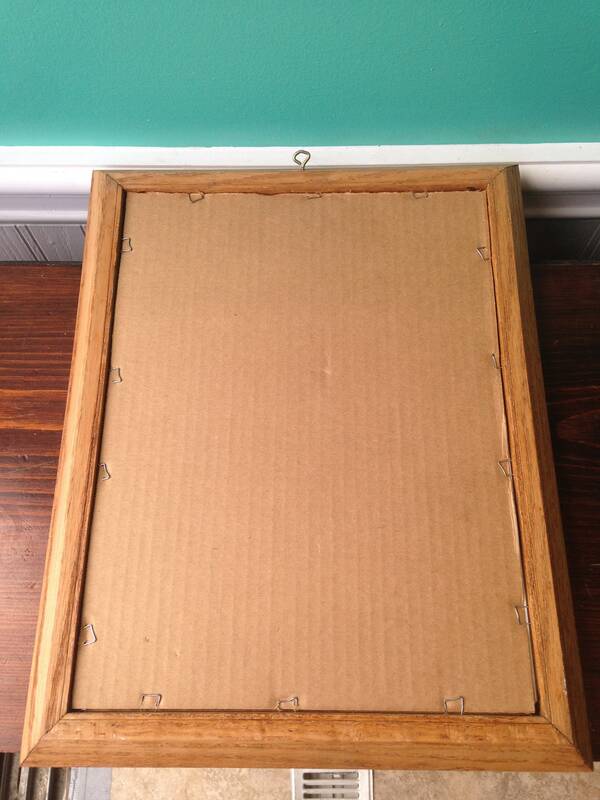 It measures 11 1/2" x 14 1/2"